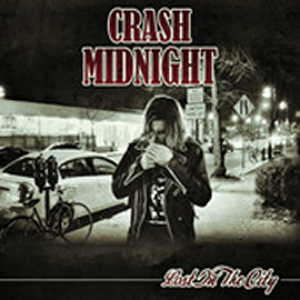 Boston, MA rock band CRASH MIDNIGHT will be hitting the road this Fall with THE PRETTY RECKLESSs and ADELITAS WAY in support of their upcoming debut album Lost In The City. Lost In The City will be release on 11/18 via Bronx Bridge Entertainment/Universal. The album’s first single is the track, “151” - about the notorious high proof alcohol of the same name. “Out of all of our songs, this one has been around the longest,” says front man Shaun Soho. “It was originally kind of a tongue in cheek party song that ended up taking on a life of its own and becoming one of our most requested songs live so we ended up going back and putting a lot of work into making it into a real song.” “151” erupts with an infectious riff and energy that instantly sweeps the audience up in the debauchery and careens them through a raucous anthem full of everything that rock n’ roll is all about and proves CRASH MIDNIGHT has all the goods to deliver on their hype. Check out the video for "151" right HERE. From Boston, MA, CRASH MIDNIGHT is comprised of Shaun Soho (lead vocals), Bo (bass guitar), Tony Pizzo (guitar), Andrew Merkle (drums) and Alex Donaldson (lead guitar). The band is a collision of classic 70's stadium rock with a punk swagger performed with all the reckless abandon of a runaway freight train. CRASH MIDNIGHT is the new generation of Rock n' Roll.